The 2B Mindset program is a new nutrition program from Beachbody! It’s a unique approach to managing cravings and making smart choices at every meal. When lunchtime rolls around you don’t want to be caught off guard–this is the time that a ton of people slip up and grab whatever is near. 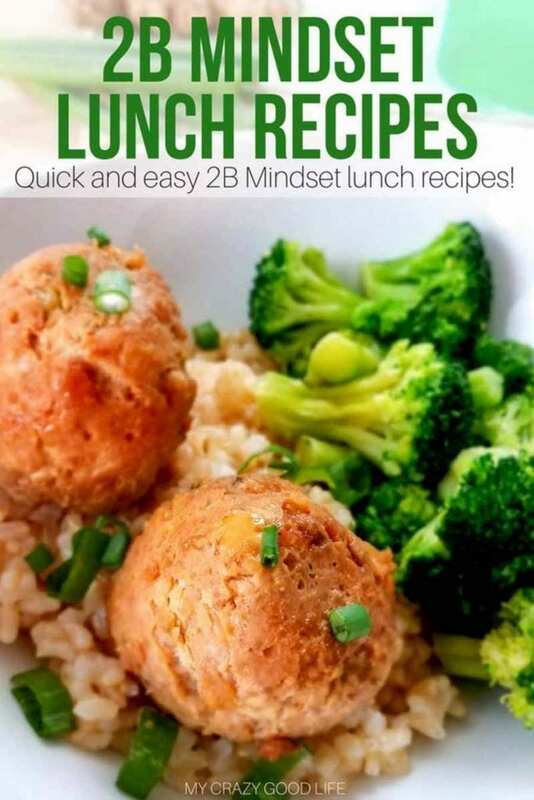 Having 2B lunch recipes handy is helpful–Here are some 2B Mindset lunch ideas and ideas that will help keep you on track! You know I’m a big advocate for meal plans and meal prep in general. It’s how I keep from straying and eating unhealthy meals, even when life is hectic it’s possible to stay focused and maintain my healthy lifestyle…because I plan ahead! If you want to plan ahead, this is a great post for you. You can choose your favorite recipe ideas to try this week and then work the rest of these 2B Mindset lunch ideas into your schedule over the coming weeks. If you don’t know about the 2B Mindset program and you have questions, hopefully I can help! I’ve done a little background on the program and you can read all about it right here: What is the 2B Mindset Program From Beachbody? Should I do 2B Mindset? Now, I’ll be the first to admit that when I initially read through the program I wasn’t impressed, but I decided to give it a try, and…I love it. No counting containers, a huge focus on veggies, and reasonable expectations. My fill 2B Mindset review will come after I’ve committed to it for a few weeks, but I’m liking it so far. It’s important to understand what you should be looking for in 2B lunch recipes! 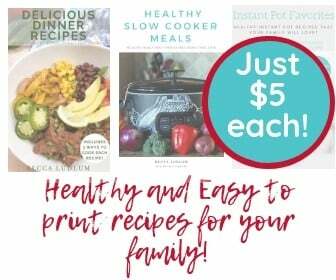 The program has guidelines for each meal and you’ll need to be aware of them in order to be successful and collect recipes that fall in line with the program. There are food lists for the 2B Mindset program much like 21 Day Fix but they are different. Make sure you are familiar with your food lists so that you are only choosing recipes that contain foods that will fir into your plate. The breakdown for lunches is 50% vegetables, 25% protein, and 25% FFCs. All of these 2B lunch recipes are suitable for that plate division or they can be used alongside other recipes in order to create your ideal lunch plate! Don’t forget about your water, that’s a big part of the program and you’ll want to make sure you are following along in order to see the most benefits for your hard work! Looking for more 2B Mindset resources? Let’s get to it, shall we? Here are some of the best 2B lunch recipes I’ve found. There are also some vegetable and protein components that stand alone. Use these in conjunction with your other recipes to create your perfect 2B lunch! Vegan Buddha Bowl with Spring Veggies | Perfectly paired for summer and so refreshing for lunch! Mini Meatloaves | I add some raw veggies and brown rice with these for lunch! Quinoa would also be a good choice with these. Instant Pot Jambalaya | Full of protein and some tasty FFC’s you just need some raw veggies or a salad on the side to round this recipe out for lunch on the 2B Mindset! Buffalo Chicken Cauliflower Mac & Cheese | Who doesn’t love a spicy and creamy lunch option?! Healthy One Pan Casserole | Make this recipe with turkey sausage and it’s a perfect 2B Mindset meal plan lunch! Quinoa Chicken Mason Jar Salad I’d go heavier on veggies if you’d like, and even add some more of your favorites if you need to! Instant Pot Lasagna Stacks A seriously fun recipe to make and eat! Add some FFCs into this meal to round it out. I might do 1/2 an english muffin or maybe even add a thin layer of sweet potato into the stacks themselves! Vegan Buddha Bowl with Spring Veggies Yum, and how easy for prepping! Teriyaki Meatballs As is, this is a pretty great 2B Mindset lunch! Roasted Cauliflower Mash Add in some rotisserie chicken, or prepare your own crockpot meal prep chicken to have with this veggie. Don’t forget your FFC! 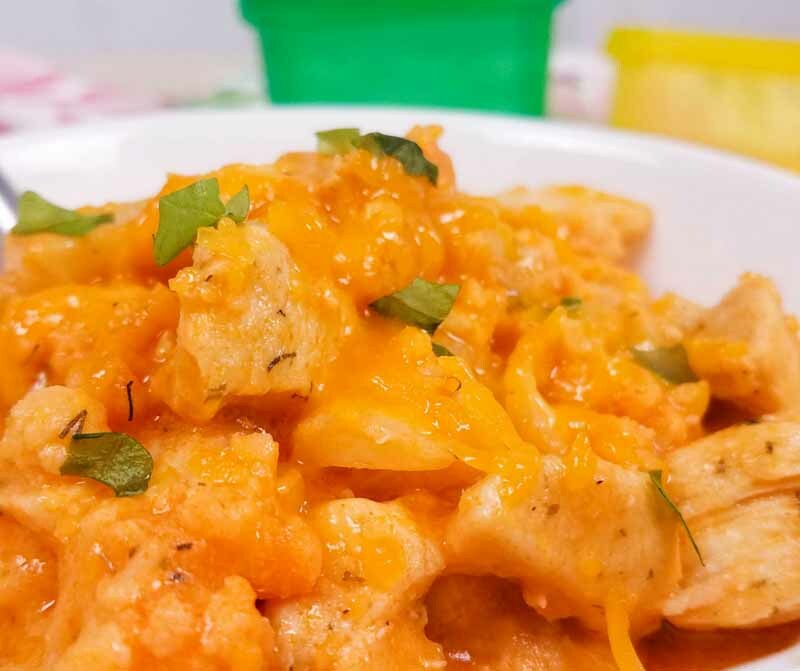 Cheesy Cauliflower Nachos Seriously, I’m dying to make this! And how easy would it be to add some of your favorite veggies into this? Maybe some sweet potato slices too? You can never have too many great recipes in your 2B Mindset meal plan. I hate when I start feeling bored with my tried and true recipes. Having lots of delicious and healthy options keeps thing fresh, new, and exciting. Eating healthy doesn’t have to mean boring meals! Healthy Taco Salads I don’t eat many salads, but this is one I could easily get behind! 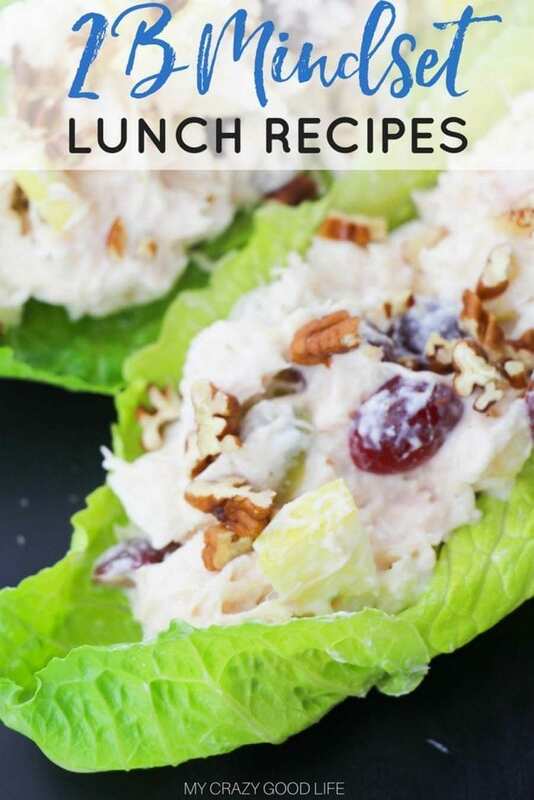 Chicken Salad with Lettuce Wraps Add some veggies and an FFC to this and you’re all set! Spaghetti Squash Lasagna The answer is always lasagna, right? Especially healthy lasagna. Enchilada Bake This is one of my favorite recipes because it’s so easy to customize! I’d add these to a corn tortilla and add a ton of veggies on top. Arugula Salad with Chicken and Black Beans This has just about everything you need for a great 2B lunch! Tuna and White Bean Salad I wonder how this would be if you added it to mini bell peppers? Taco “Salad” I’d definitely add some tortilla chips to this! Baked Salmon Dijon Add some grilled asparagus and maybe a sweet potato, and you’ve got a perfect lunch idea! Chicken Florentine Yum. Yum. Yum. I haven’t tried this one yet, but I’m adding it to my list! Garlic Shrimp & Zucchini Sheet Pan Meal I love how easy it is to plate sheet pan meals! This one looks delicious. Have you found any 2B lunch recipes that you go back to, time and time again? What are some of your favorites?! Usually when meal planning I find that lunch is the most important meal of the day. It’s usually during my most busy moments so I need something that is easily accessible and of course, delicious! After lunch I get a sweet tooth! I’ll sometimes need a little cravings crusher to get me through the afternoon. If that’s you too, check out these Wonder Whip recipes! They’re an awesome choice for crushing cravings with flavors like Lemon Meringue, Key Lime Pie, Chocolate Peanut Butter, and Chocolate Mint you really can’t go wrong. This Wonder Whip recipes post has nearly 15 different flavor combos and recipes to try.